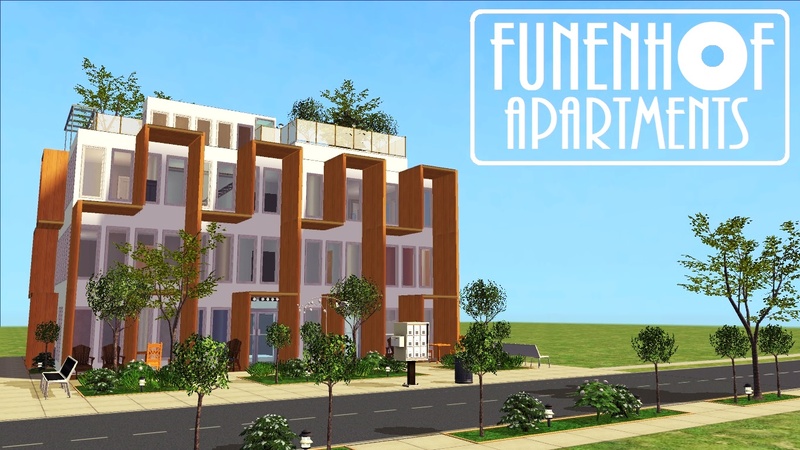 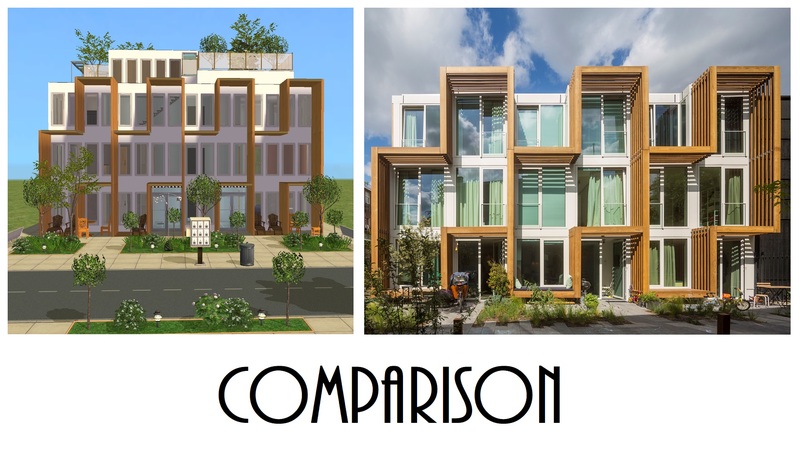 Inspired by the real Funenhof Appartement in Amsterdam designed by Arons en Gelauff architects, this is the perfect apartment building for your urban, smart Sims who wishes to live as "green" as possible in the city centre. 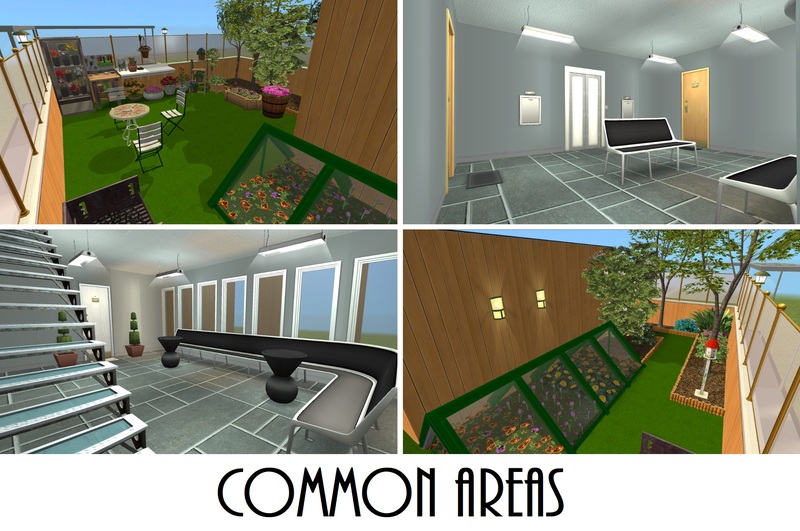 The building comes with 5 apartments spread out on 3 floors, with an additional common garden on the rooftop. 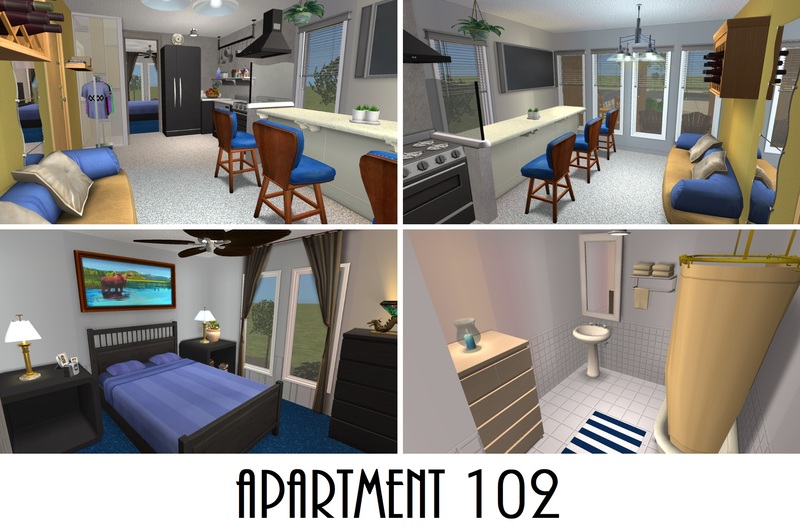 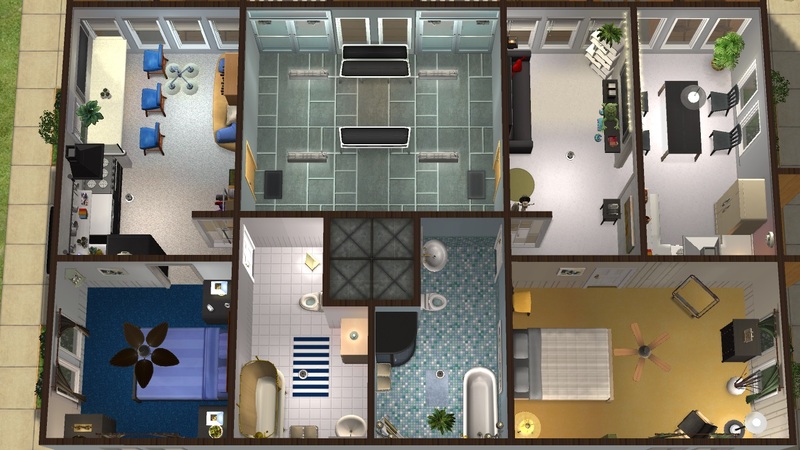 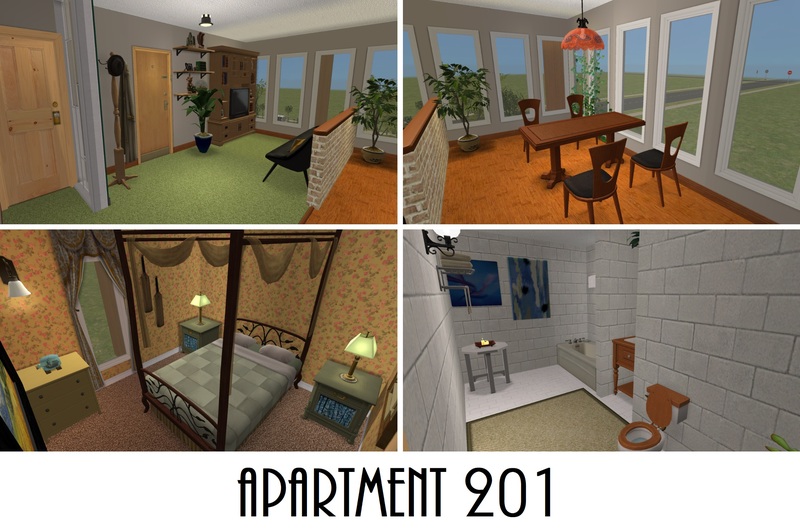 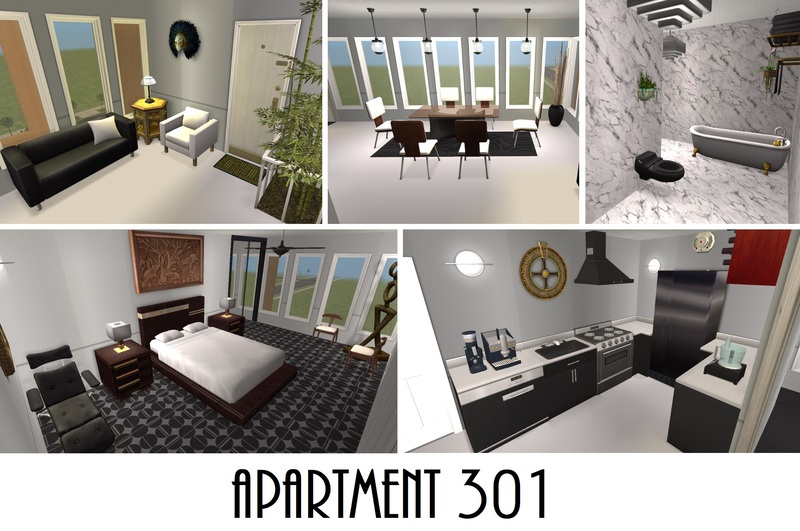 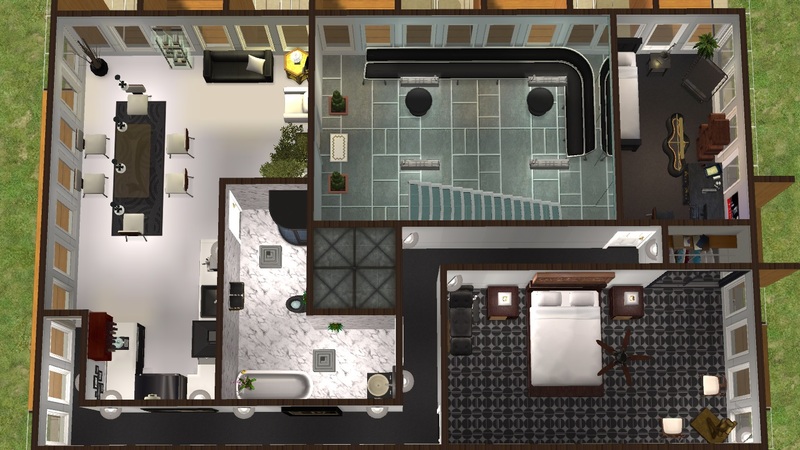 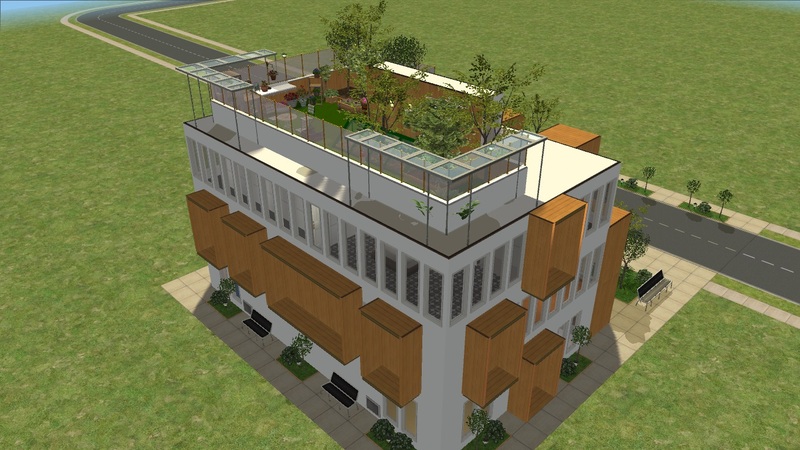 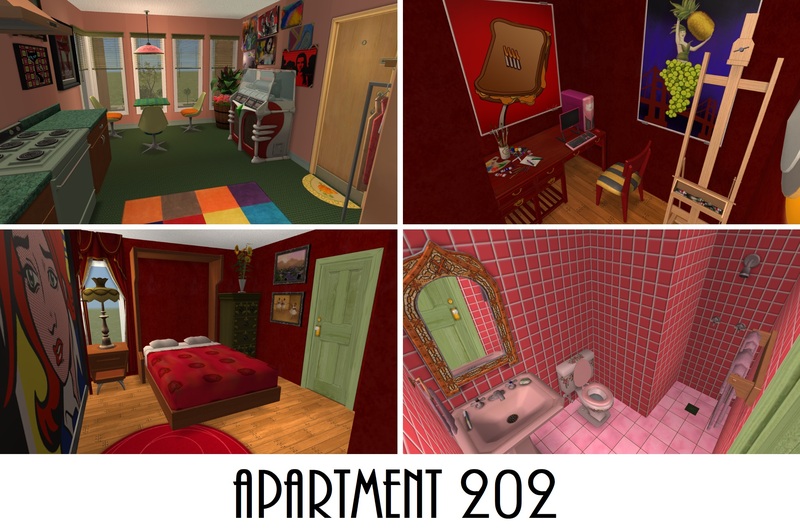 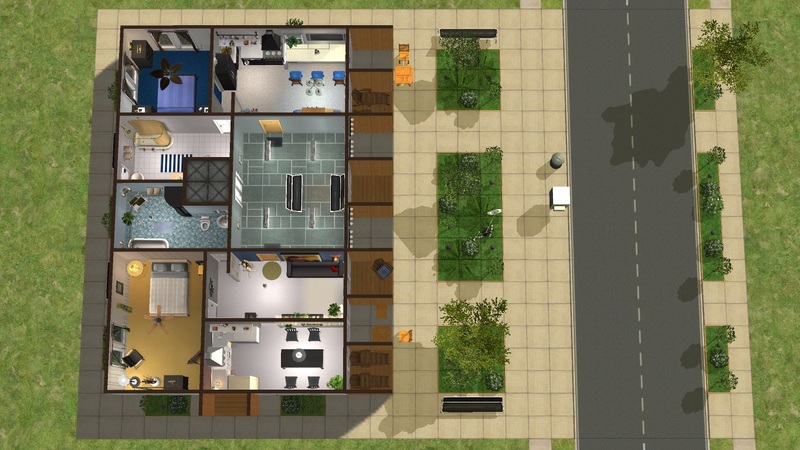 Each apartment comes with a distinctive style designed to fit a range of diverse Sims. 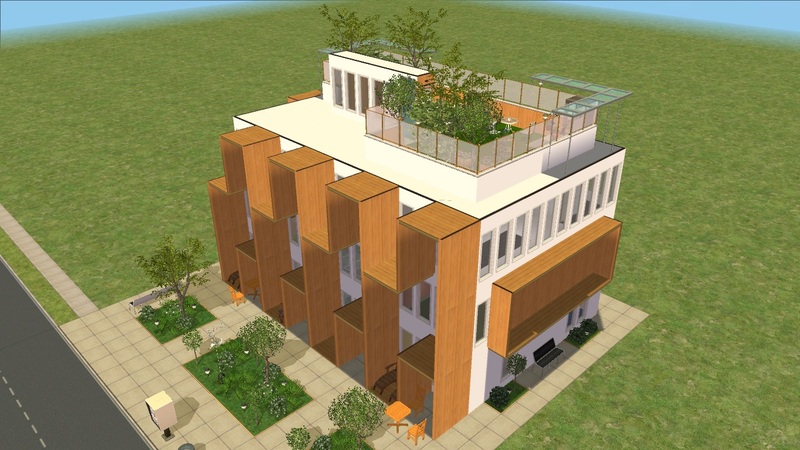 I wanted the exterior of the building to look as close to the original one as possible, since it really has this "green eco-vibe" to it. 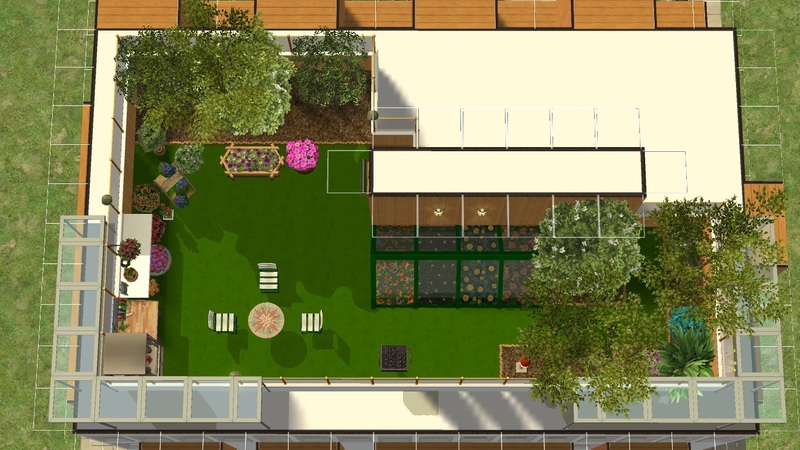 The only thing I've added is the rooftop garden, because who doesn't love rooftop gardens? 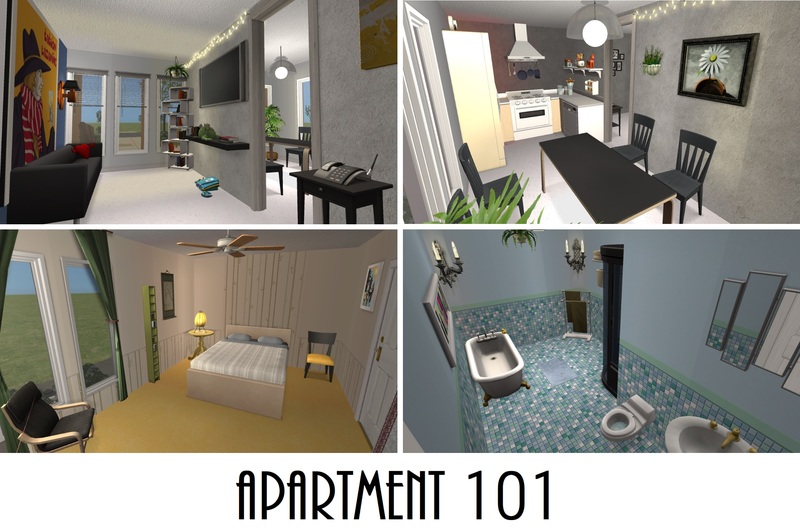 If you want to rent the furnished apartments, simply use the cheat "boolprop testingcheatsEnabled true" and then SHIFT-click the door to unlock the option "rent furnished" which will appear alongside the "rent this apartment" option. 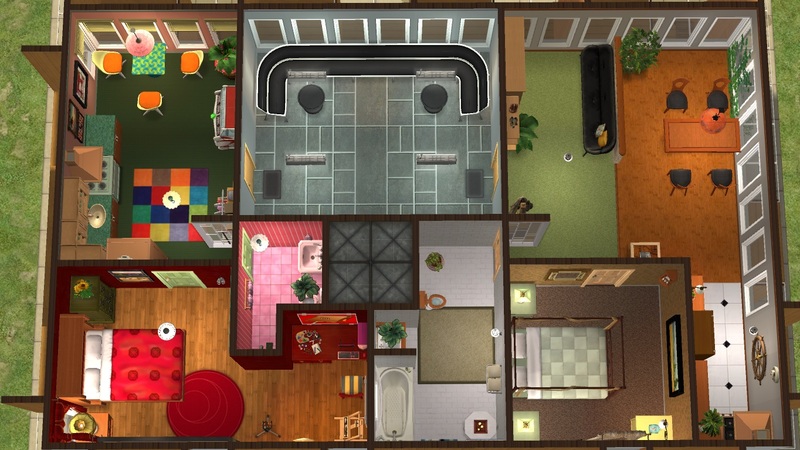 You can also use Pescado's Apartment Hack (non MTS-link). 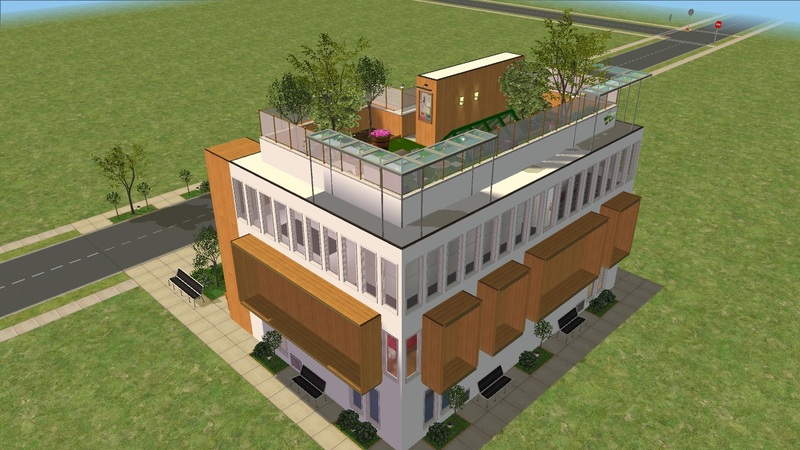 In the Hills - NoCC!